Jo Furr, who earned an M.Ed. in curriculum and instruction from the College, serves on the UH Board of Visitors. Posted February 12, 2019 – No matter where she goes in Houston, whether at a charity gala or out with family, Jo Furr usually runs into someone whose children or grandchildren she used to teach. She loves the connection. “I’m really blessed to have taught so many children in my lifetime,” said Furr, who worked as a teacher and administrator for more than 30 years in the Houston area. Born in Memphis and raised in Louisiana, Furr moved to Houston in 1970 with her high school sweetheart and husband, Jim, and hasn’t looked back. She’s a proud Coog, graduating in 1995 from the University of Houston College of Education with a master’s in curriculum and instruction, with a specialization in literacy. Both Furrs have served on the board of the Blaffer Art Museum at UH. And Jo Furr currently serves on the UH Board of Visitors Third Ward Task Force, which supports partnerships between UH and the historic community. After living in small towns in Louisiana, Furr and her family moved to the larger city of Monroe for her high school years. Her dad, who attended trade school, worked as a mechanic, and her mom took care of Furr and her younger sister. Jo and Jim Furr are active volunteers and philanthropists in Houston. “We’re very blessed, all that Houston has done for us,” she said. Furr was head of the Lionettes drill team, a dedicated student of Latin and an officer with Junior Classical League, an organization dedicated to an appreciation of the culture of ancient Greece and Rome. She met Jim on the football field. For her undergraduate degree, Furr went to Louisiana State University and majored in education. She said she was influenced by her maternal grandmother, who taught in Mississippi, and the kindness of her third-grade teacher, Mattie Hawkins. After graduation, Furr taught first grade for three years in Baton Rouge. Long after she left, a parent of one of her students continued to stay in touch with photos – of the child’s high school graduation, marriage and own child. The connection with her students and their families started early. In Houston, where Jim Furr took a job as an architect, Jo Furr taught preschool at two private schools before teaching for about a decade at West University Elementary School in the Houston Independent School District. She then taught at St. John’s Lower School before returning to HISD as a supervisor in the advanced academics department. Furr was drawn to the younger grades. When her own children were young, Furr began taking art history classes at UH for fun. “I enjoyed it so much that I began to really seriously think about getting my master’s degree,” said Furr, who went on to juggle her graduate classes in the College of Education while teaching at West University Elementary and St. John’s. A publishing course she took with Professor Lee Mountain stood out. In Mountain’s class, Furr wrote a proposal for a teacher resource book focused on learning through word games. Scholastic agreed to publish it. Furr’s book, “Easy Word Games: Building Language Skills through Rhymes, Hink Pinks, Rebus Riddles, and More,” was released in 1996. The book features lessons on sound (e.g. alliteration and rhyme), sense (e.g. synonyms and antonyms) and structure (e.g. palindromes and anagrams). Despite Furr’s experience as an educator, Mountain said she was a humble student. “She was clearly a fantastic teacher because you don’t write a book about word games unless you’ve used hundreds of them in your classroom,” said Mountain, who successfully nominated Furr for the College’s Outstanding Graduate Student Award. Since retiring, Furr and her husband have poured their energy into philanthropy. 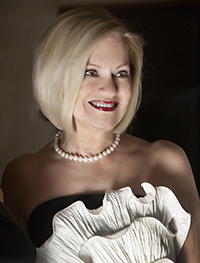 She has served on numerous boards and/or chaired fundraisers for Blaffer Art Museum, Houston Ballet, Stages Repertory Theatre, Dominic Walsh Dance Theatre, Houston Area Parkinson Society, Kinder High School for the Performing & Visual Arts, Houston Arts Alliance, AIA Houston, Rice Design Alliance, Fund for Teachers, The Heritage Society and the Contemporary Arts Museum Houston.